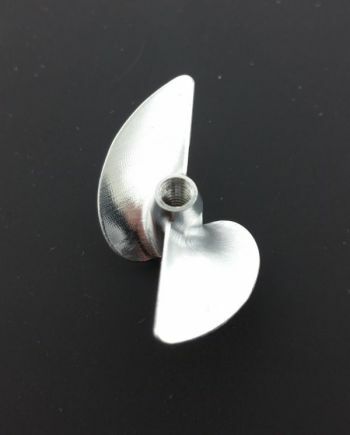 CNC Aluminum prop for M4 Threaded Shaft by TP Power. These propellers thread on the propeller shaft. And require a propeller shaft that has m4 threads. Machine cut to high tolerances for use right out of the box. No need to balance these props. The Magnalium 7075 alloy makes this material upwards of 30% stronger than standard 7075 aluminum. Available in 30 to 38mm sizes.